And in all that we are bound to read books and then forget about them... right? I somehow have managed to remember many of the plots of the books I've read. In fact, I often get a new story and mention how it is exactly like another plot I've read maybe ten years previously. 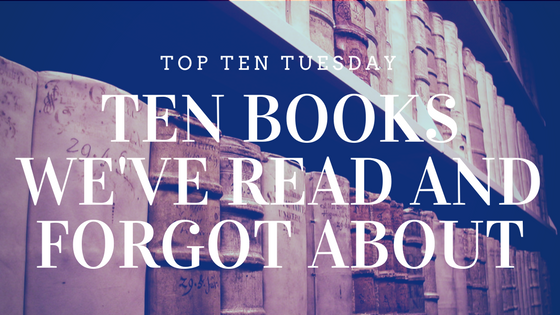 But, I usually forget titles, authors, or names of characters... and of then there are piles of titles I read while in college for my lit classes that I have blocked away. And to be honest, finding 10 was harder than it should have been... I guess that's a good thing... maybe my memory isn't completely shot! The Canterbury Tales by Geoffrey Chaucer - Moment of truth... I took an entire class on Chaucer... while we read this unfinished "masterpiece" a few times, we spent most of the class focusing on the history of the time period... so somehow I have forgotten the vast majority of these tales. A Wrinkle in Time by Madeleine L'Engle - Okay, in all fairness, I remember a ton of this story, but I am fuzzy on the names and the details... the setting I remember... and with the movie coming up I feel like I should remember it! 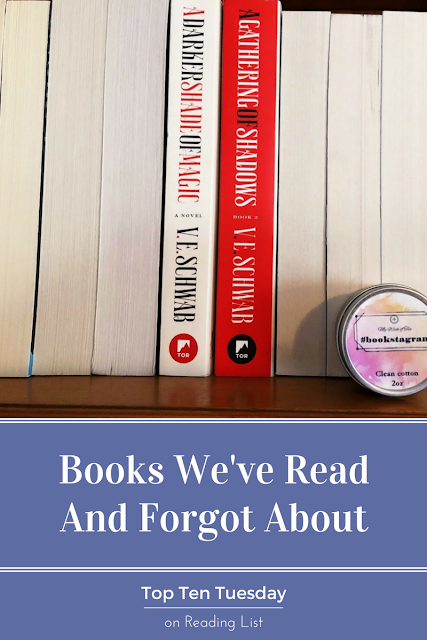 Carve the Mark by Veronica Roth - Yep, even a new book is on my list... and I know I read it, recently... but I don't remember any of the characters names, and I only vaguely remember the plot... I mean I even reviewed it on here! How embarrassing. Vanity Fair by William Thackeray - When I try to remember this story I only remember flipping through the pages thinking it's so long, and what high school teacher expects us to read that much???? hahaha, not the point, but I have a feeling we all have a few of these. Frankenstein by Mary Shelley - Alright, I do remember this one quite a bit actually. But the very beginning, that part slipped away from recently. Beloved by Toni Morrison - So I read this in high school and college, yep twice, both time for diversity authors... which is great. And I even remember liking it even though it has some very heavy topics.. what topics you ask? Don't mind me while I check Goodreads... yep it's all out of my memory. 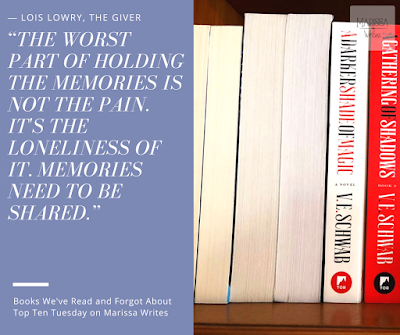 The Giver by Lois Lowry - Another one I know I read while in school...I was talking to someone about it just a few weeks back and she mentioned a subplot and I stared at her like she grew a second head. Yep, I forgot it! There are probably a ton more, especially from school, but oh well. Then again, the last 10 years are full of books I do remember, so that's alright. 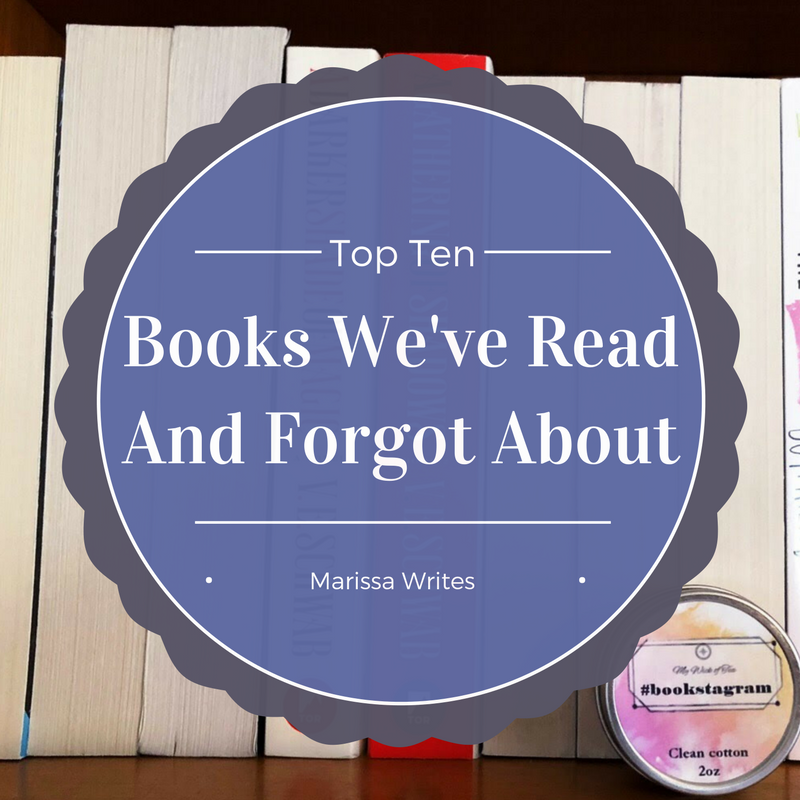 Now, please, tell me there are some books you know you read but you can't remember! What books did you read, maybe even loved, and now forget? 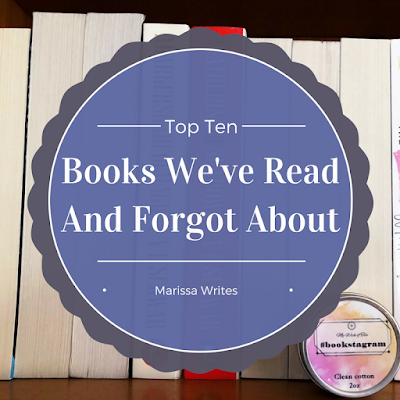 Ugh you are really not missing much by not remembering Lord of The Flies, it's awful! 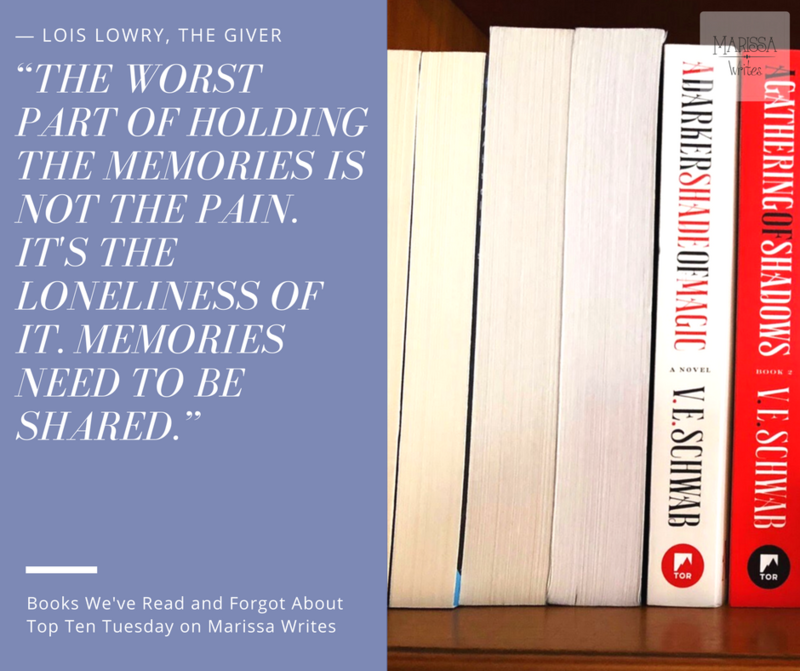 The Giver is the only one of these I've read, and I don't remember a lot of it either. Oops.